Today in Portland: for those of you who asked about where the BRYNNA photoshoot was – we went about a mile away from our new PDX neighborhood to a place called Laurelhurst Park. It is a smallish park right in the middle of the SE side and has a little waterway right in the middle – Firwood Lake! And it is really awesome – couldn’t help but climb some of the Jurassic-sized trees – both of us were several feet off the ground for this shot — yikes! 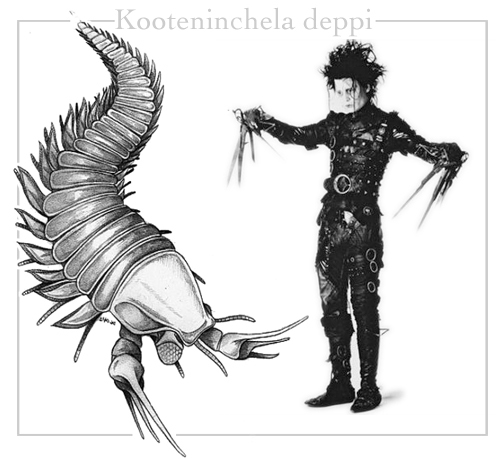 London scientist discovers 505-million-year-old arthropod fossil and christens it after one of his favorite folk: meet Kooteninchela deppi.